More than 12,800 have registered to vote outside their home constituency. The Elections Commission has decided to verify voter registration forms amid allegations of fraud. 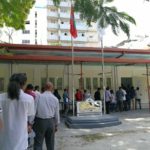 More than 12,800 people have so far registered to vote outside their native island in the September 23 presidential election, EC member Ahmed Akram told the Maldives Independent. With thousands of voters residing overseas, working in resorts or living in the capital with their official residence elsewhere, re-registration drives by the EC and political parties are taking place ahead of an August 11 deadline. 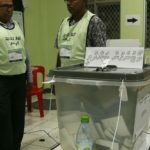 “We are receiving a lot of complaints with all political parties accusing each other of trying to commit fraud by re-registering voters to wrong locations and complaints like that,” Akram said. 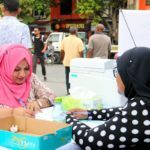 Ahead of the 2014 parliamentary elections, more than 62,000 re-registered to vote in new locations, up from more than 50,000 in the last presidential election. More than 263,000 people are eligible to vote this year. 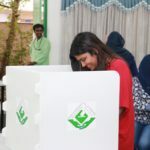 MP Ahmed Mahloof, spokesman of the joint opposition, told the Maldives Independent that there was reason to suspect plans to disenfranchise a large number of voters. “The main problem is that government ministries and agencies and even state-owned enterprises are forcing their employees to re-register through them,” he alleged. “Our concern is that a lot of these re-registration applications will not be submitted and it will be too late when people realize they have not been re-registered. The opposition also contests the impartiality of the EC following the appointment of a loyalist of President Abdulla Yameen to head the independent body. 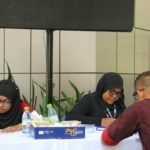 Pressed by reporters last week, EC chief Ahmed Shareef acknowledged complaints about re-registration but refused to comment on whether ministries or companies were re-registering their staff. 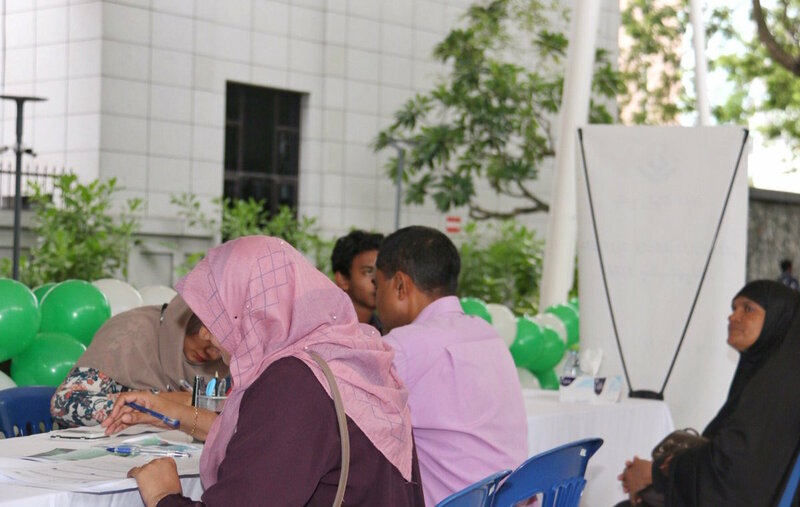 The EC welcomes efforts from those who volunteer to help with voter re-registration, he said. Responding to media reports last week, the Civil Service Commission denied ordering civil servants to help with re-registration efforts. No such complaints have been lodged either, the commission said. According to reports, ministries and companies have been asking their employees to submit voter re-registration forms to political appointees of the ruling party. There are 35,155 people working in government offices and independent institutions, while 31,475 work in companies. Prison staff have also been ordered to vote in jails or detention centres.